Register to attend the www.rainbowpush.org FREE wealth building event in Chicago #PUSHMoneyMatters #FindNewRoads..The Rainbow PUSH Coalition and the Citizenship Education fund have partnered to bring the Financial Empowerment Series powered by Chevrolet to Chicago. If you were waiting for a financial workshop worth your time, this is the one. 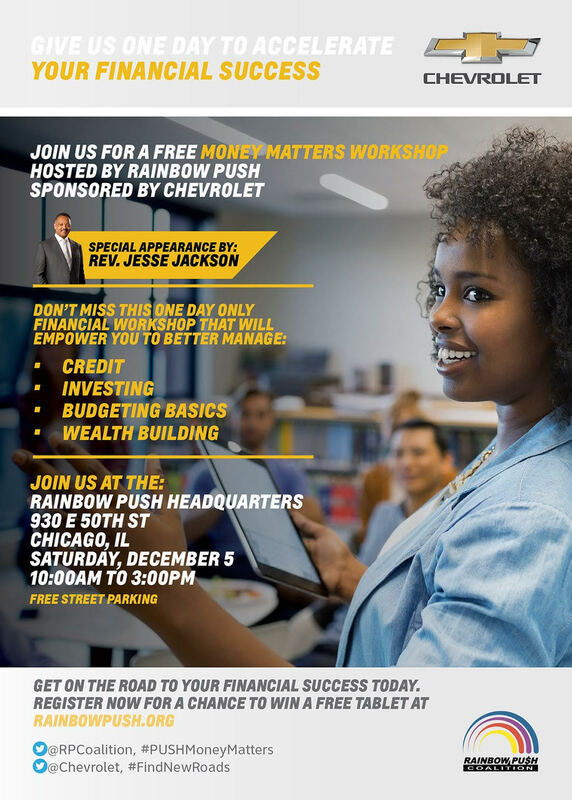 This is a FREE one-day financial workshop that will inform and empower you, as top financial professionals will help you better understand your credit; investing; budgeting basics and wealth building. This will be a great workshop and on time. Let's talk money!